Tap2Pay is a platform for processing and accepting payments from various online channels. We continuously work hard to improve our service – from developing a WordPress plugin to integrating seamlessly with Facebook Advertising, for a start. With all these efforts, we are excited to announce that we’ve gained two brand new industry recognition in our collection. 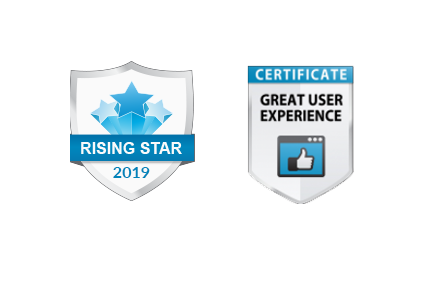 The experts from CompareCamp, a reliable business software directory, prepared a detailed review of our product and decided to name it with the Great User Experience and Rising Star awards. According to CompareCamp’s review of Tap2Pay, the payment solution deserves a Great User Experience accolade thanks to how it helps customers to pay conveniently using their social media accounts and messaging apps. Users can easily sell their services and products on popular social media platforms such as Facebook, Messenger, Instagram, and Viber, among others. All in all, our easy-to-use solution can be relied on processing payments to boost your sales. Since launching in the market two years ago, Tap2Pay has earned the trust of numerous users around the world. As a global product available in 180 countries and used by a growing number of 2,000 business users, Tap2Pay earned CompareCamp’s Rising Star award. Read Tap2Pay’s CompareCamp review to learn more about our product’s features, benefits, and functionalities that earned this honorable recognition in the industry.